Welcome to Bloom Skin and Beauty Boutique! We offer professional beauty treatments, advanced skincare services and appearance medicine together with a wide range of salon exclusive beauty products. Established in Karaka, Auckland in 2011, we have recently moved into our new space - a custom built boutique clinic, conveniently located just over the road from where we were. A few minutes off the Southern Motorway in Karaka, with plenty of parking, Bloom is the perfect place to relax and indulge in some well deserved pampering. If you want to get serious about your skin, or just unwind and rejuvenate we are here to help. As an established salon we really love to ‘wow’ our clients with our high standards and passion for what we do. All of our qualified therapists can help you with any of your beauty therapy needs. We have specialised equipment to provide in-depth analysis and can treat your skin whilst recommending the correct home support to maintain our salon treatments. We are happy to discuss your concerns around skincare and beauty and will customise our treatments to achieve the best result for you. Book your appointment today! After 16 years involvement in the beauty industry, this salon is an amalgamation of everything I have learned. Juggling three boys and family life is always a challenge, but winning the 2013 New Zealand Salon of the Year and Business Development Award was a great reward for all our hard work. From my years as a skincare consultant with Estee Lauder to training to be a beauty therapist, 11 years as a qualified aesthetician and my work as a professional make-up artist, I just love being able to help clients look and feel great every time they visit us. I trained as a beauty therapist in 1997, and worked as a facialist and massage therapist on board the Star Princess. From there I went on to work in Pharmacy where I held numerous roles including management. Over the past twenty-five years my experience in the beauty industry has been wide spread and I have loved every moment of it. I have two beautiful children who keep me on my toes and are the light of my life. My success in the beauty industry is largely due to my passion for skin and makeup. I love people and making sure they are well looked after and will endeavour to make your experience at Bloom fantastic. I graduated from the Beauty Therapy College of NZ in 2005 with diploma's in aesthetics, body therapy and electrology. Afterward I worked at a small salon in East Auckland where I built on my experience and was introduced to the world of advanced skin treatments and cosmeuceutical skincare. I became very passionate about helping people with their skin and at my next job managing a salon in St Heliers I started focusing on and learning about the importance of nutrition and how it directly relates to skin health. Providing your body with optimal nutrition is not only a game changer for your skin but it can change your life! I have a little girl now and love working at Bloom around looking after her. I graduated in 2004 at the prestigious Joyce Blok beauty therapy school and began my career at a top end salon in Manukau. After five years working and gaining experience, I moved to Australia and further developed my knowledge of beauty etiquette and advanced skin treatment. I spent seven years polishing my skills and then returned home to New Zealand and started working with a specialist laser clinic. Though I enjoyed the work, I realised my passion truly lies in the therapeutic side of beauty. Here I am now at Bloom, looking forward to helping our clients achieve their beauty goals. So whether it’s a simple brow shape or an advanced treatment, trust that you will be in very safe, knowledgeable and caring hands. After 10 years in the banking industry I decided to pursue my long-held dream of becoming a Beauty Therapist. I studied with Elite International School of Beauty, graduating at the top of my class and also completed three international qualifications with CIDESCO (Comité International d'Esthétique et de Cosmétologie) one of which I again achieved with distinction. Outside of work and study I love spending quality time with my partner and our two children. 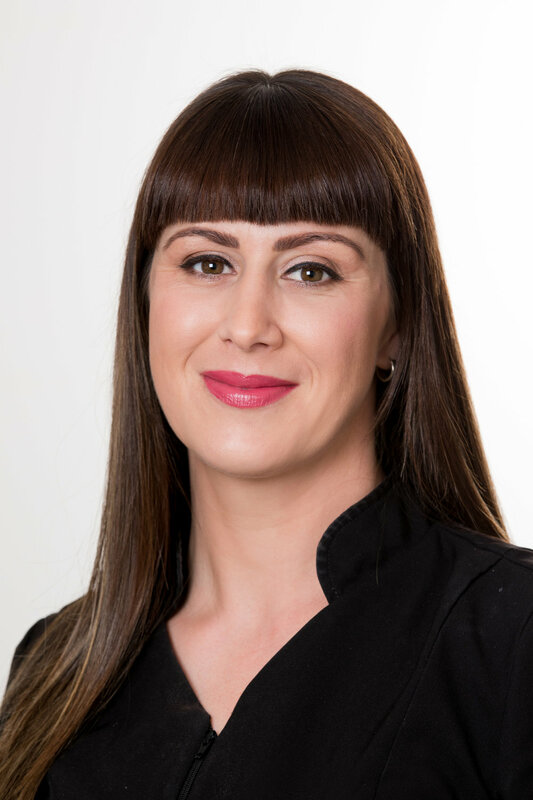 My favourite treatments are facials, massage and waxing and with my professional work background and ever-growing passion for beauty therapy, I am committed to providing you with top quality service and I look forward to seeing you in clinic. After completing my studies in 2008 I graduated with a Diploma in Beauty Therapy. I continued to build on this foundation over the next few years by working at various spas including the InterContinental Resort & Spa where I treated clients from all over the world. I then moved to New Zealand and married my husband before we celebrated the arrival of our gorgeous daughter. My passion for beauty therapy has grown every year. I enjoy each aspect of the beauty industry and the treatments we provide and I love the personal reward I get from knowing that I have truly made a difference in the way a person feels about themselves both physically and mentally. I’m a big believer in the idea that beauty starts from within and this drives my passion for helping people feel good about themselves. I love seeing my clients achieve their beauty goals and strive to build relationship with them by talking and listening to them and really understanding what they need. I am passionate about skincare and wellbeing and make it my mission to stay up to date with new beauty trends as well as finding out about ways I can benefit my body on the inside, as this can have positive effects on what people see on the outside. Being a Beauty Therapist is very satisfying work because I know I'm helping my clients feel their best. I want everyone to leave the clinic feeling radiant and beautiful. For me this isn't a job, but a passion. I'm really excited and grateful to begin my journey here at Bloom and I look forward to seeing you there.